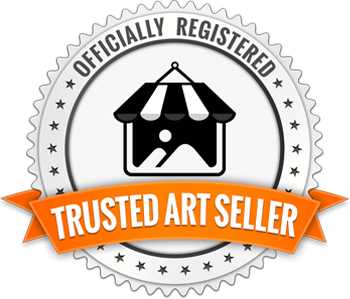 NOTE: Unlike most in Multi-Panel shop, these are the actual textured paintings and NOT fine art canvas prints. 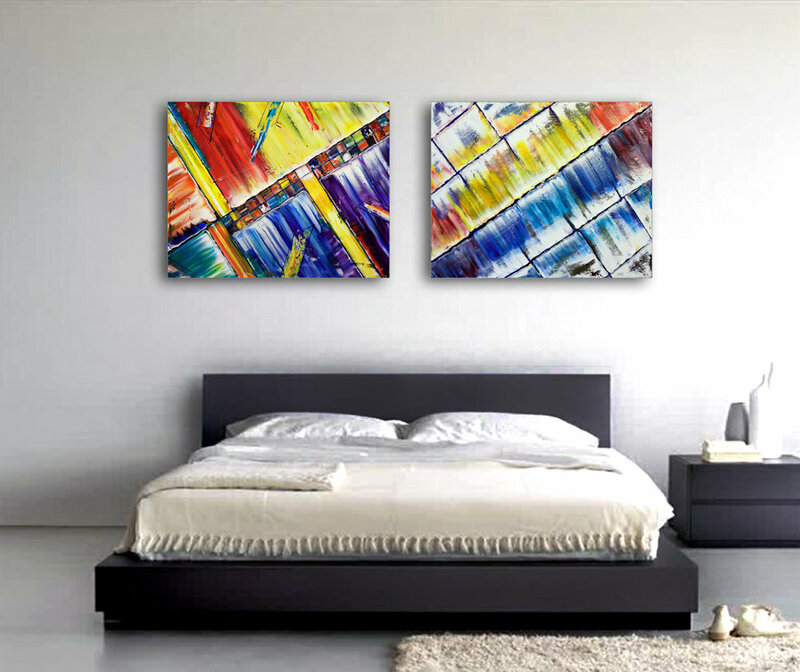 These are original oil paintings. 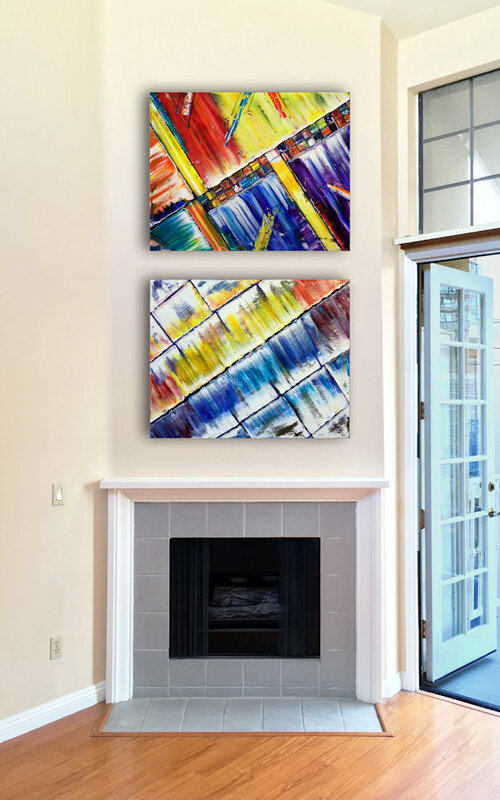 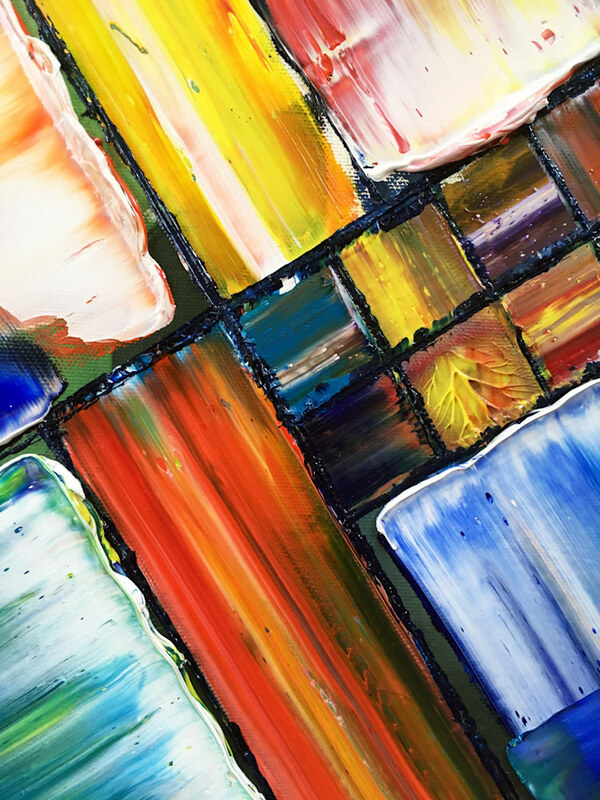 This is a unique and original PMS abstract oil painting diptych. 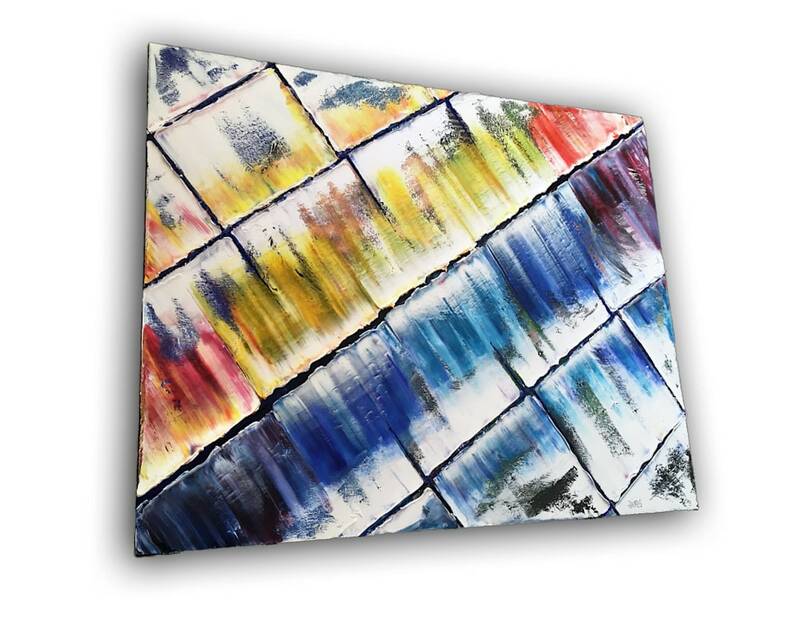 It is part of a series of highly textured, design oriented pieces on canvas. 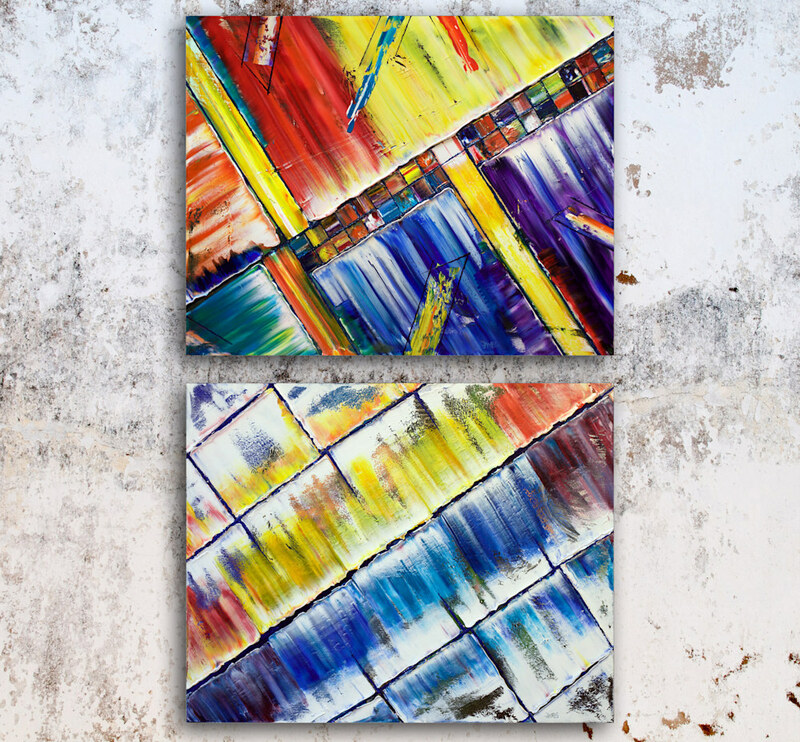 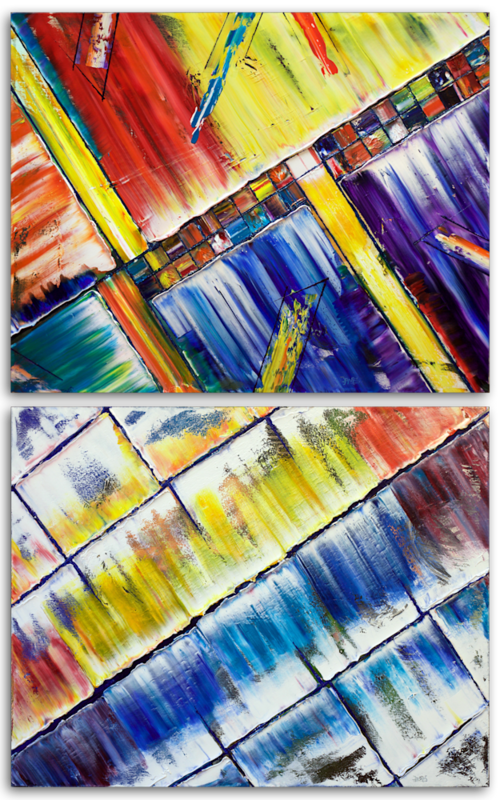 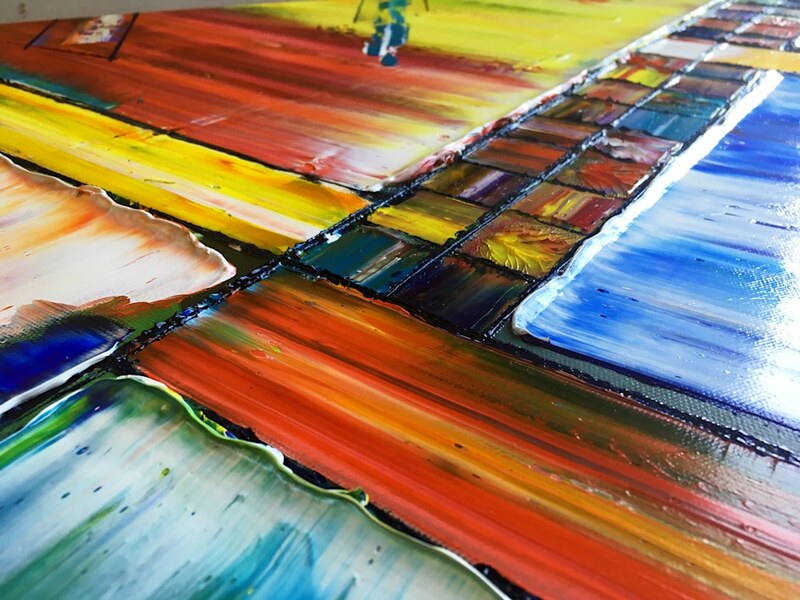 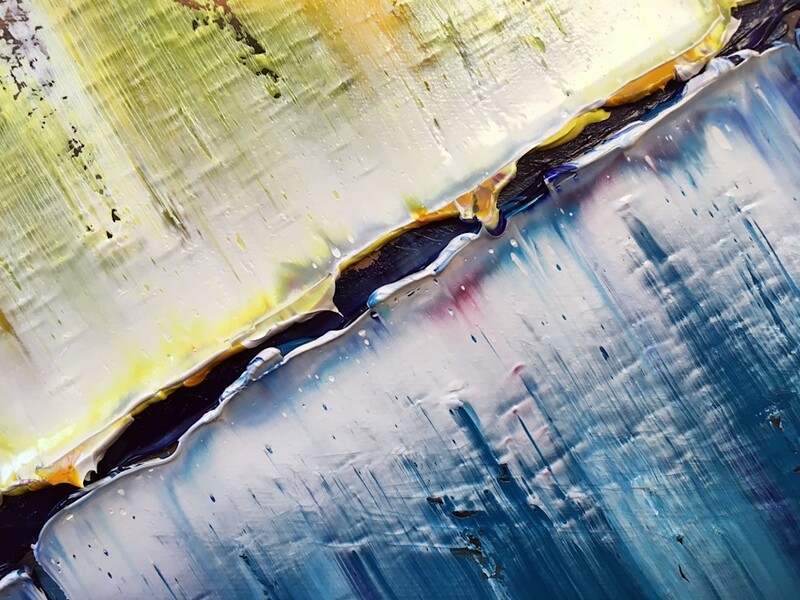 This diptych has huge sweeping, streaking, and textured color that is mesmerizing to the eye and dares you to touch it. 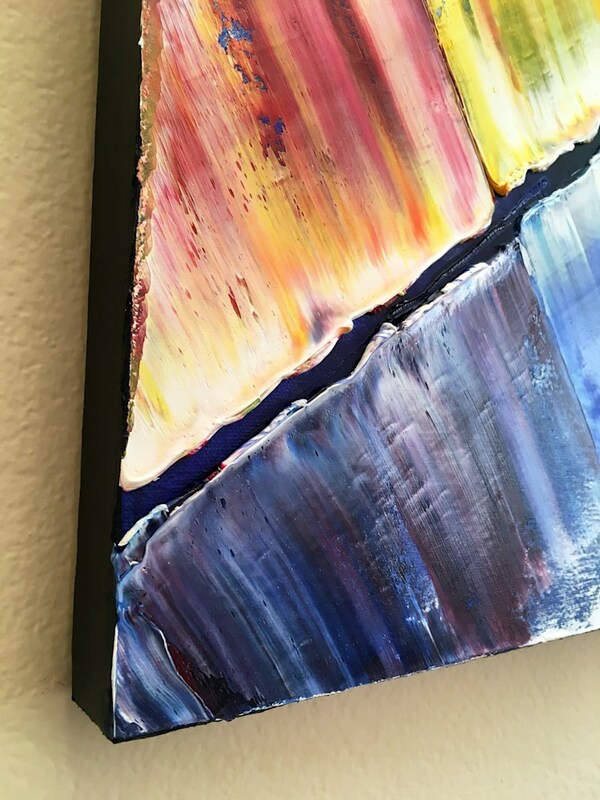 It is a unification of highly textured painterly and design techniques I have been developing over the years. 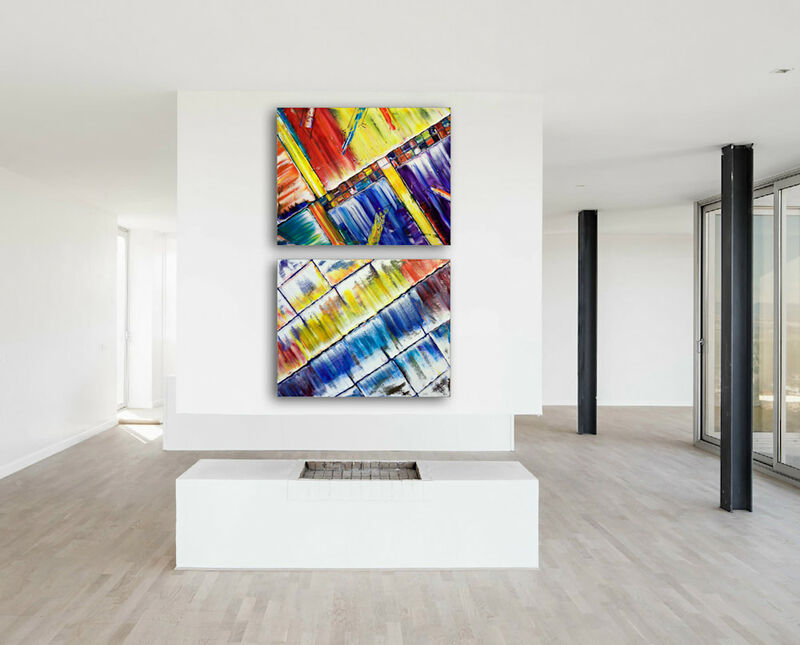 This series is filled with structure, texture and form and has an architectural and playful quality. 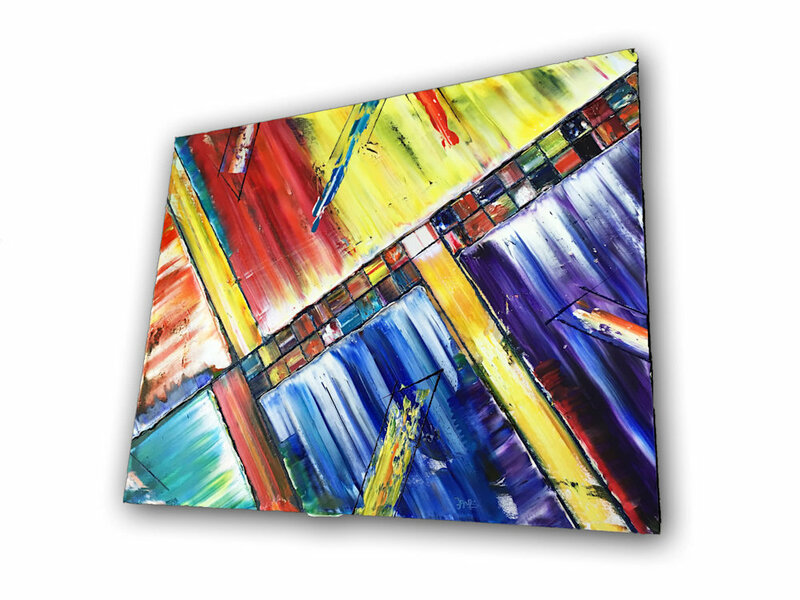 Separated and unified by each individually unique angles, the pieces work well to balance each other. 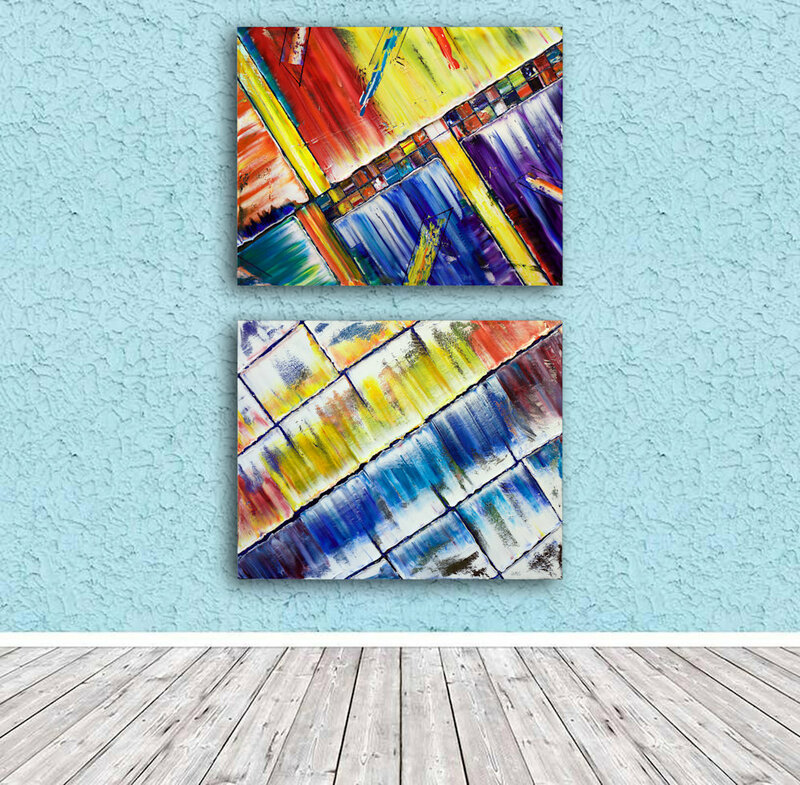 It is an energetically exciting series that has structure and feeling and will add depth to your space. 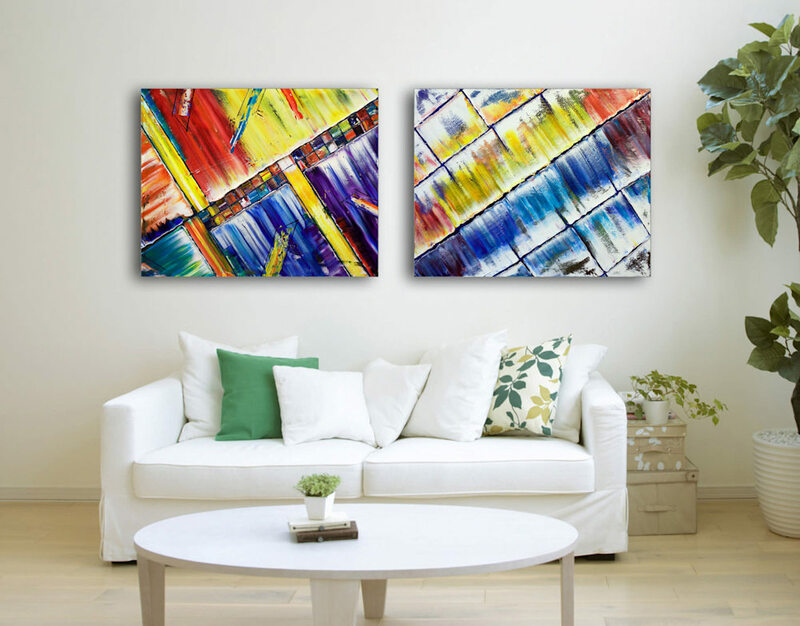 It is a unique and powerful abstract diptych like no other.